We have put together a good set of services at a great value to cover the needs of teams that want to be autonomous in the mountain, but still require some logistics support. • Private transportation Airport – Hotel in Mendoza – Airport. • Private transportation Mendoza – Penitentes – Mendoza. 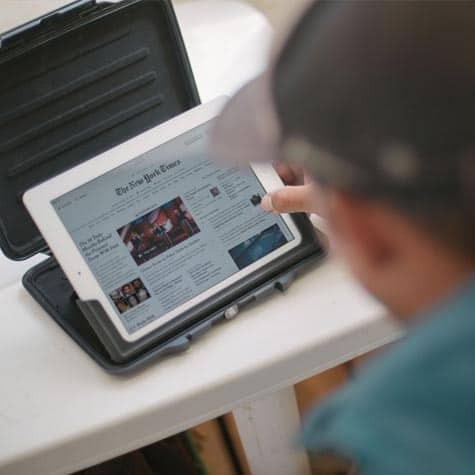 • Private transportation Penitentes – trailhead – Penitentes. • Two nights hotel accommodation in Mendoza City, breakfast included. • One night accommodation in Penitentes, breakfast included. 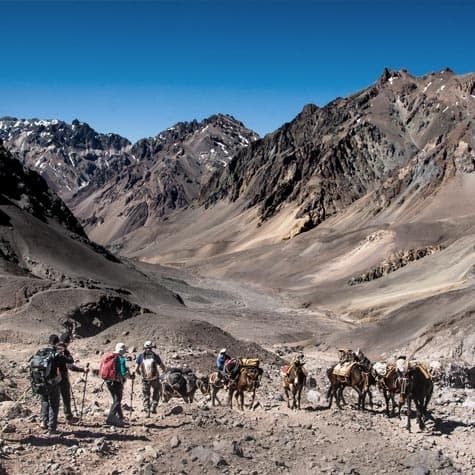 • Assistance with the procedures to obtain the permit to enter the Park Aconcagua. By using us as a local outfitter you get a big discount in the cost of the permit. • Mules to carry loads to Confluencia, Plaza de Mulas and return to Penitentes. • Full board at Confluencia and Plaza de Mulas. • One VHF handy, with direct communication with our camps and with the Park Rangers / Rescue Patrol / Medical Service. • Safe storage room in Penitentes and Base Camp. • Oxygen for emergencies and radio at BC, 24/7 assistance for evacuations / emergencies. • Mules to carry loads to Plaza Argentina round trip and from Plaza de Mulas to Penitentes. • Full board at Plaza Argentina and Plaza de Mulas. 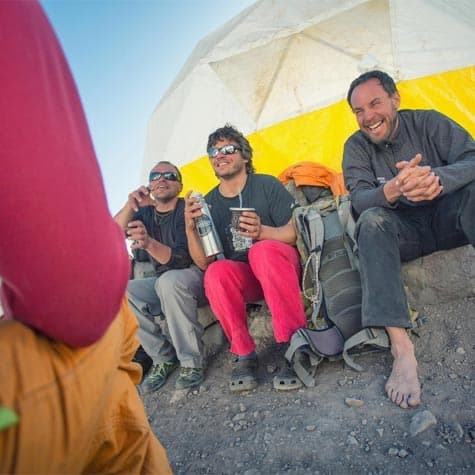 Personal porters or any service at high altitude. Any cost if the climber abandons the trip. Meals or drinks in Mendoza or Penitentes. Meals or any services during the hike into Plaza Argentina. 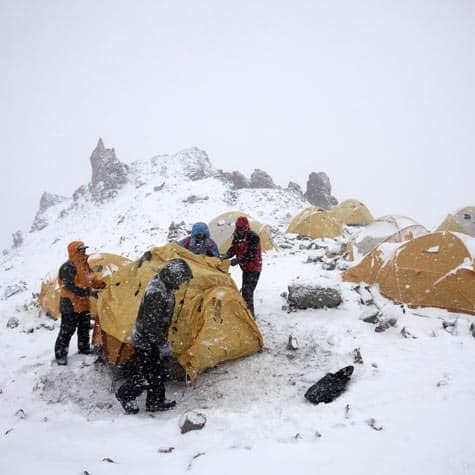 Tents, bunks or lodging in the mountain (clients have to provide their own tents). Personal gear, ground or air evacuations, room services, laundry, beverages, phone calls, personal items, liability insurance, hospitalization or medication of any kind, and any other service not mentioned as a service included.